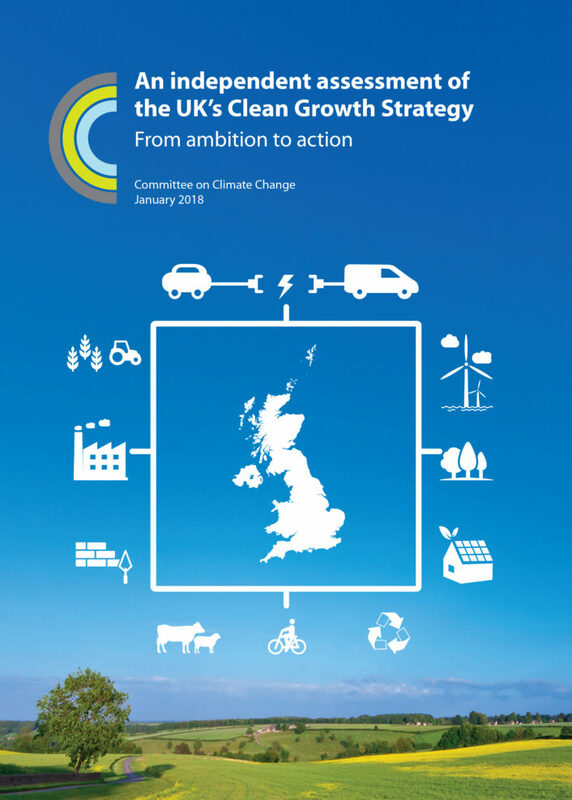 This report provides the Committee on Climate Change’s response to the UK Government’s Clean Growth Strategy. The Government has made a strong commitment to achieving the UK’s climate change targets. 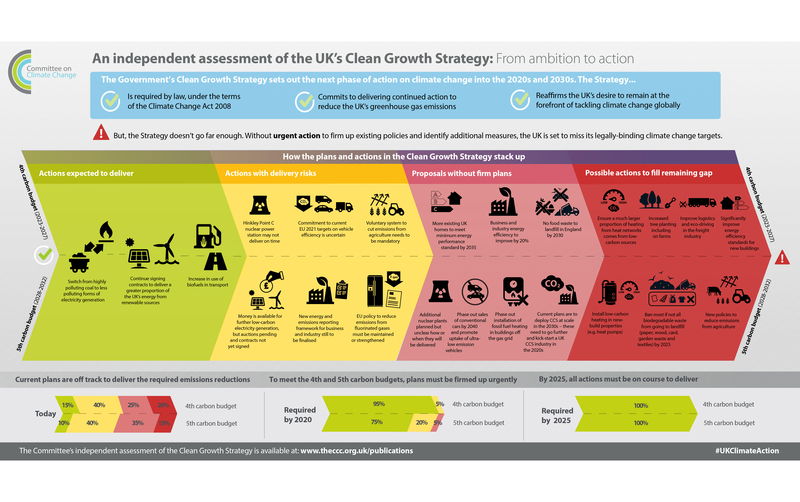 Policies and proposals set out in the Clean Growth Strategy will need to be firmed up. Gaps to meeting the fourth and fifth carbon budgets remain. These gaps must be closed. Risks of under-delivery must be addressed and carbon budgets met on time. This infographic highlights the key messages from the report. This short animation highlights the key messages from the report.